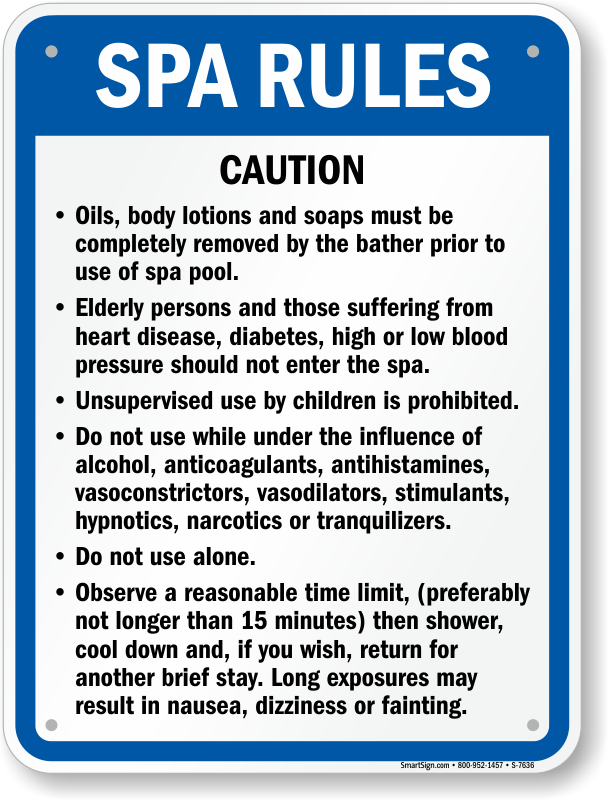 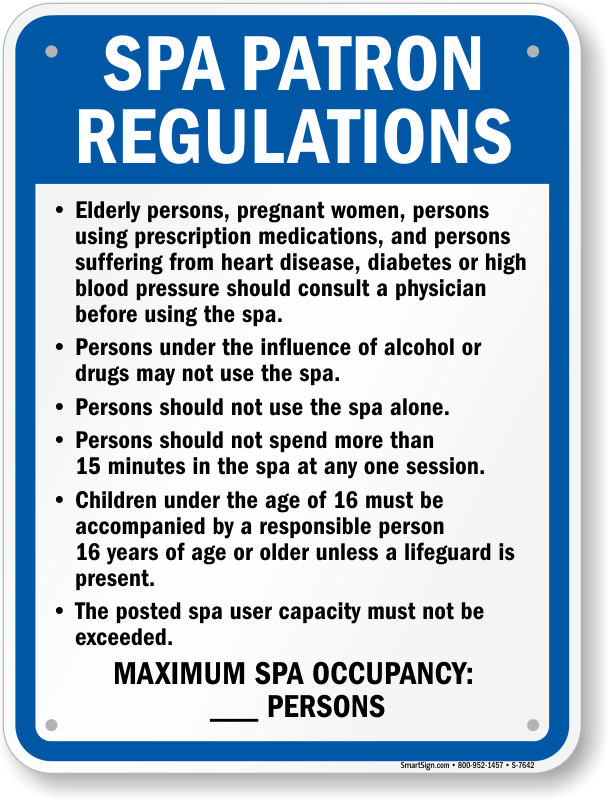 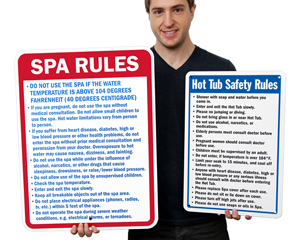 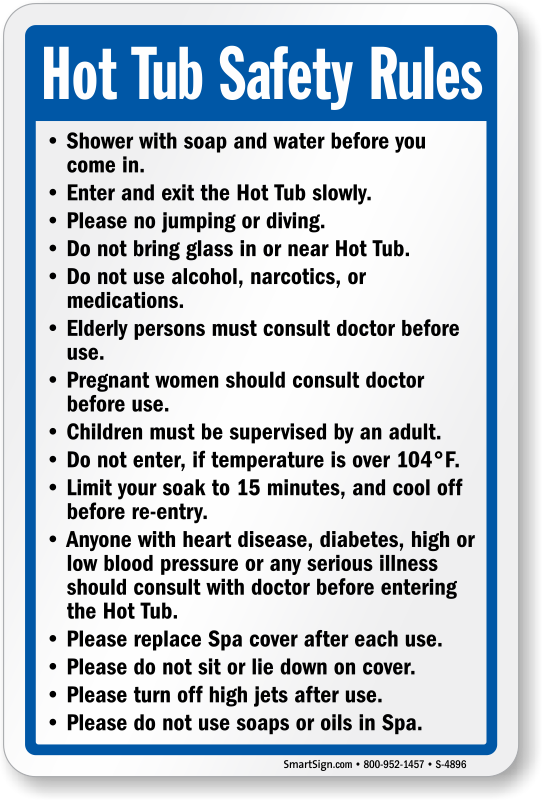 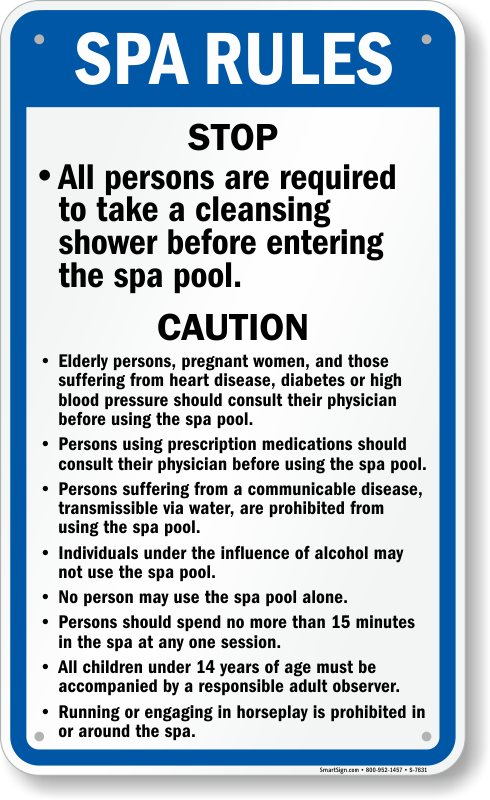 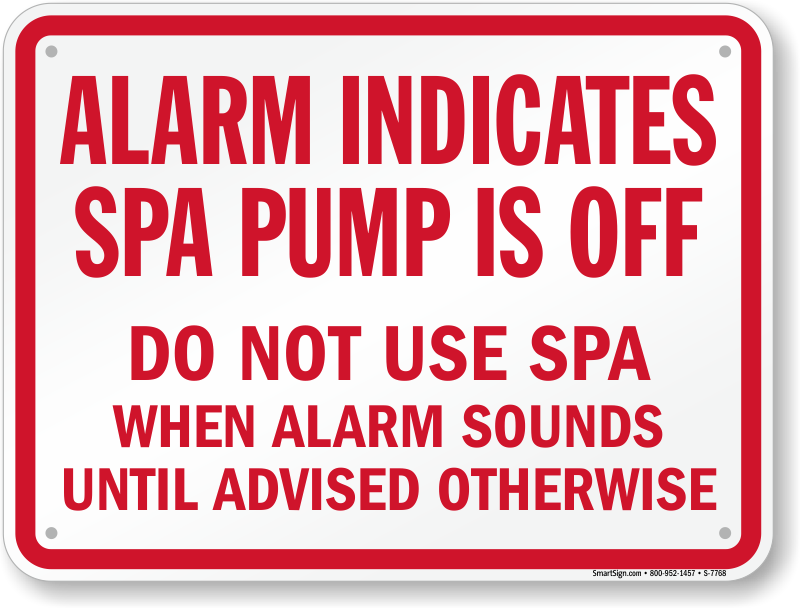 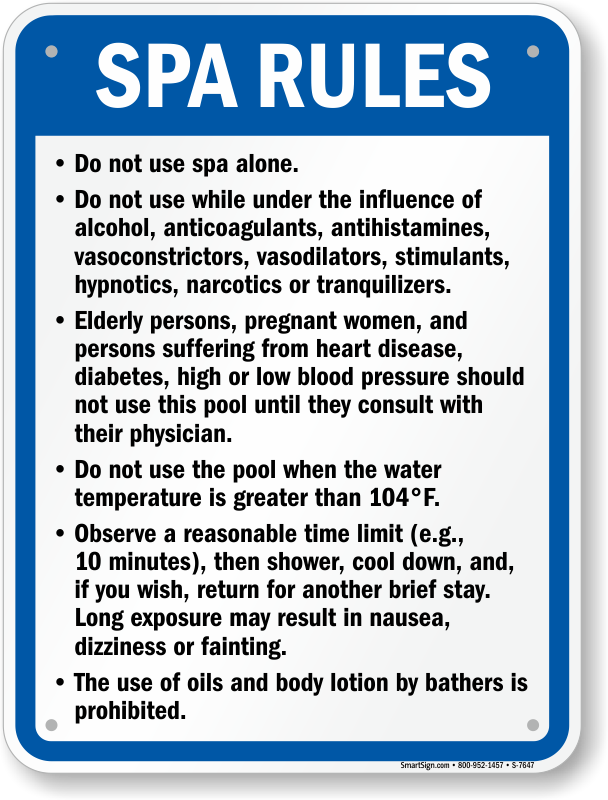 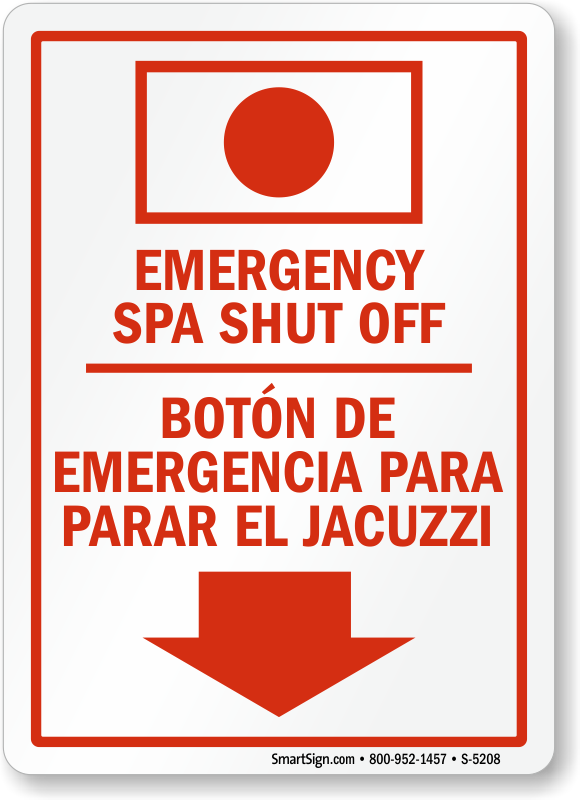 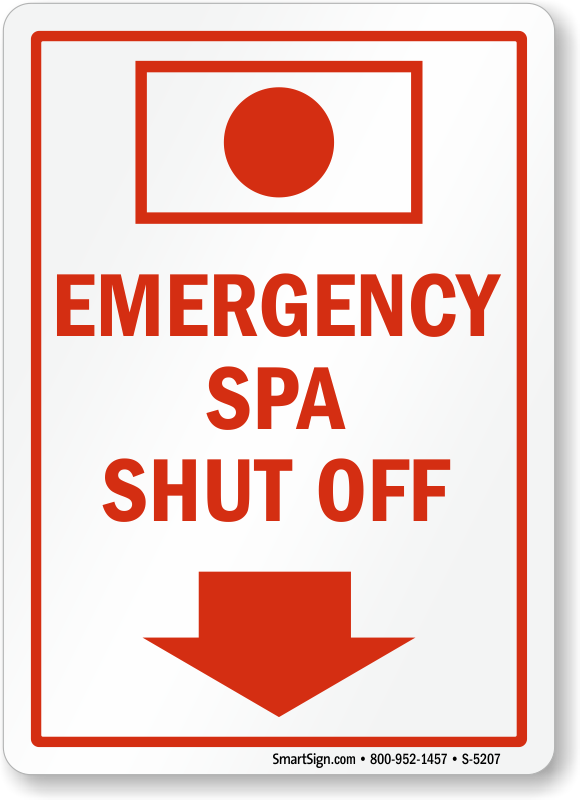 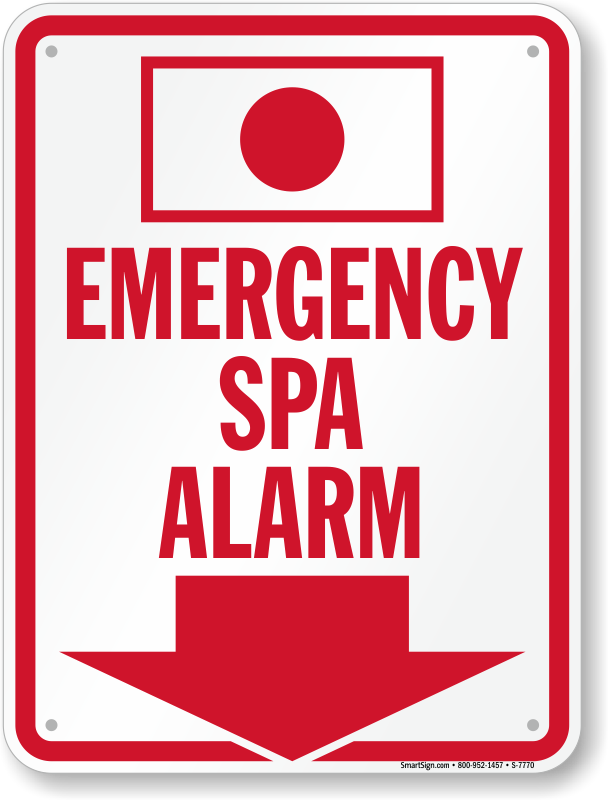 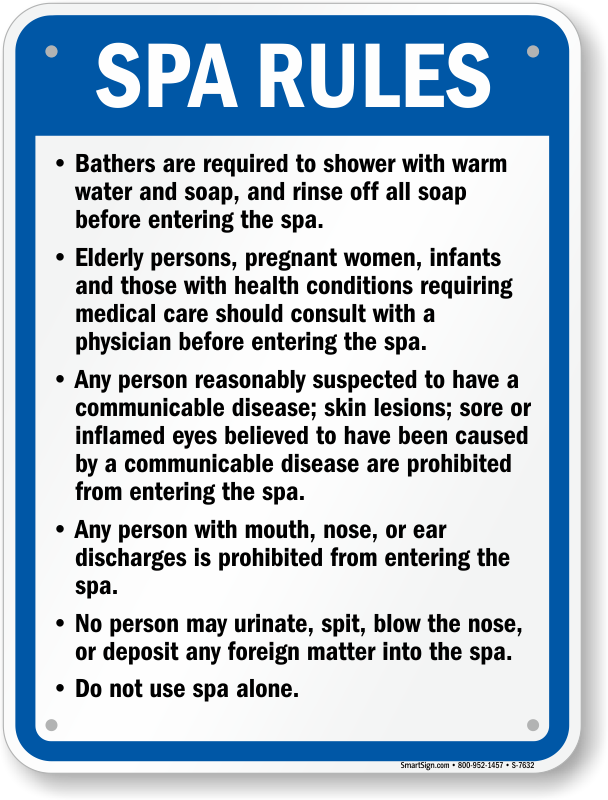 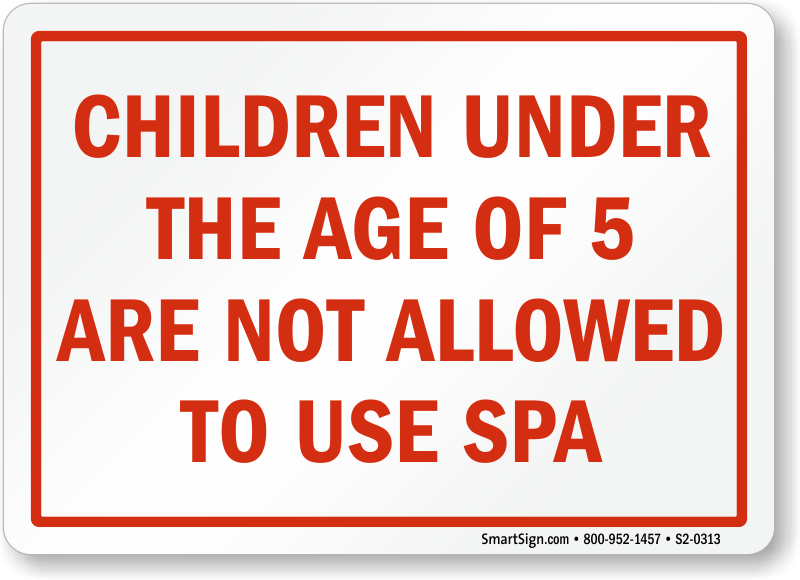 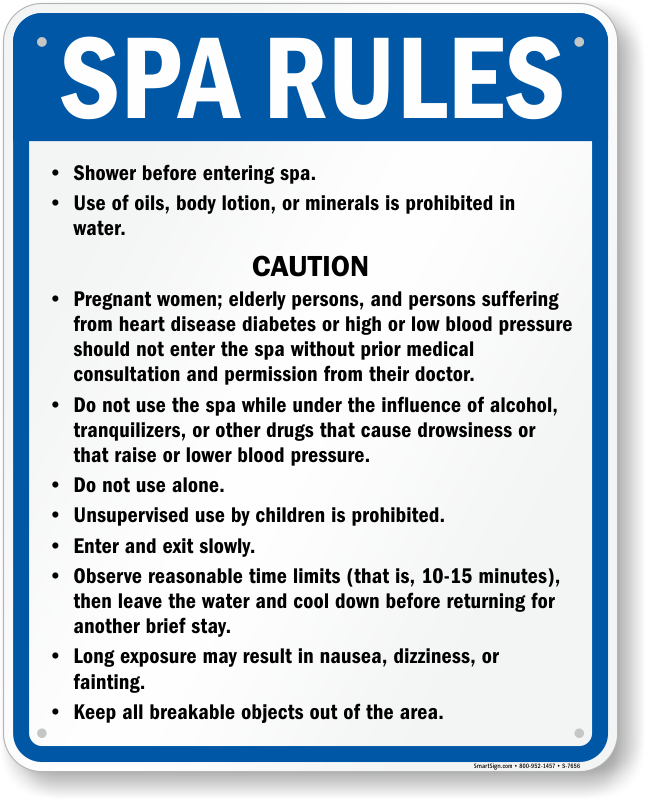 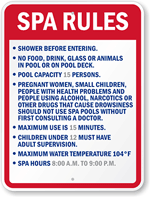 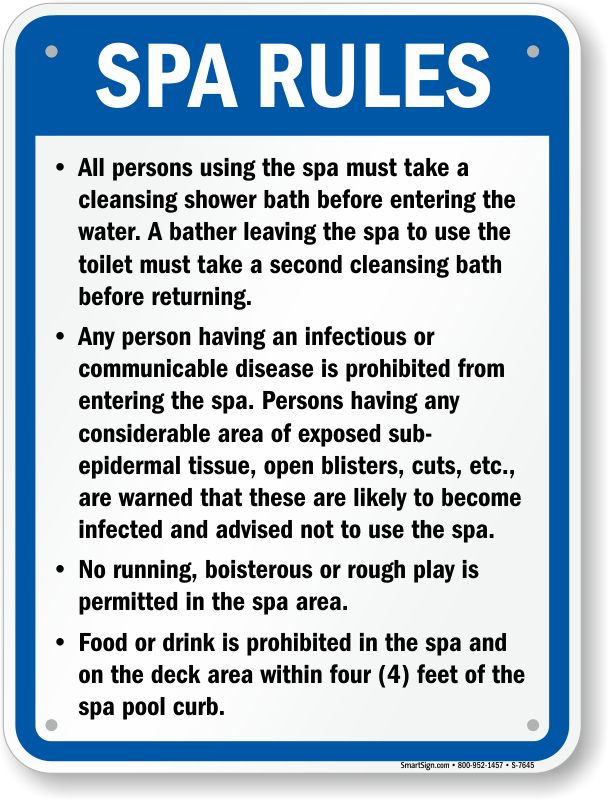 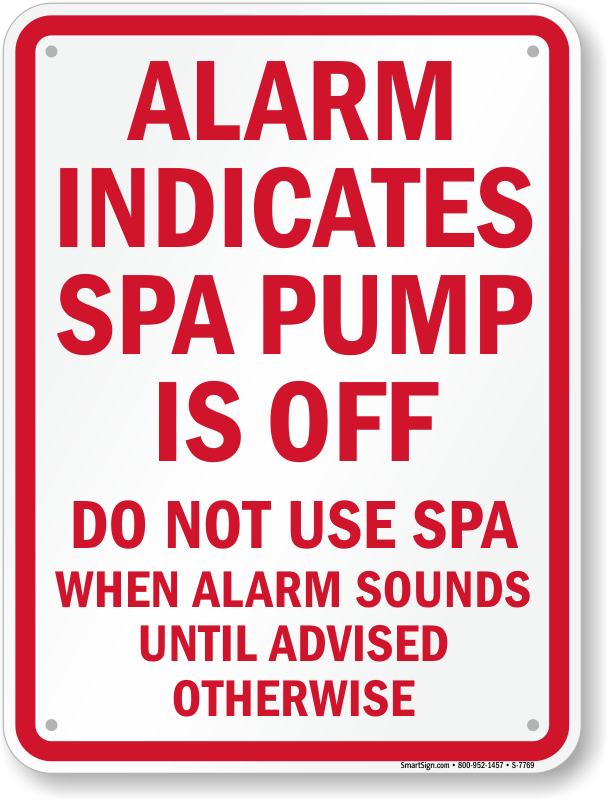 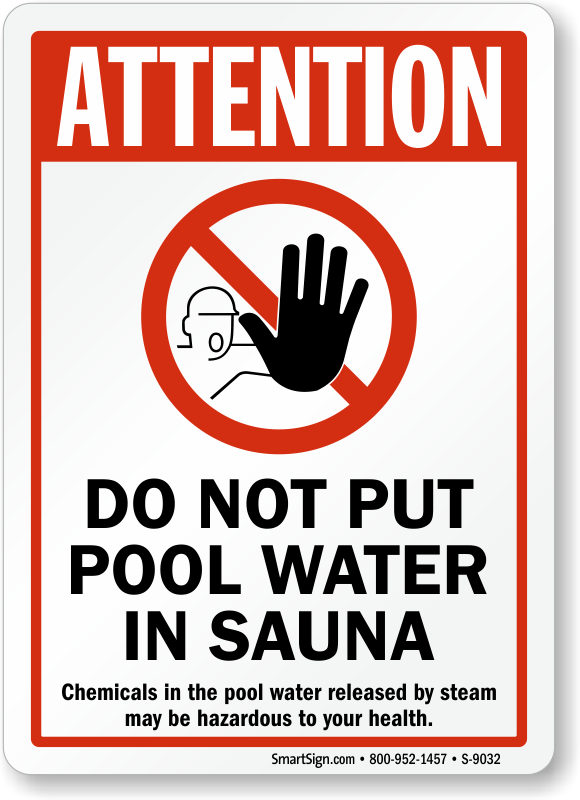 Promote safe practices in your spa and jacuzzi areas with Spa Rule Signs. 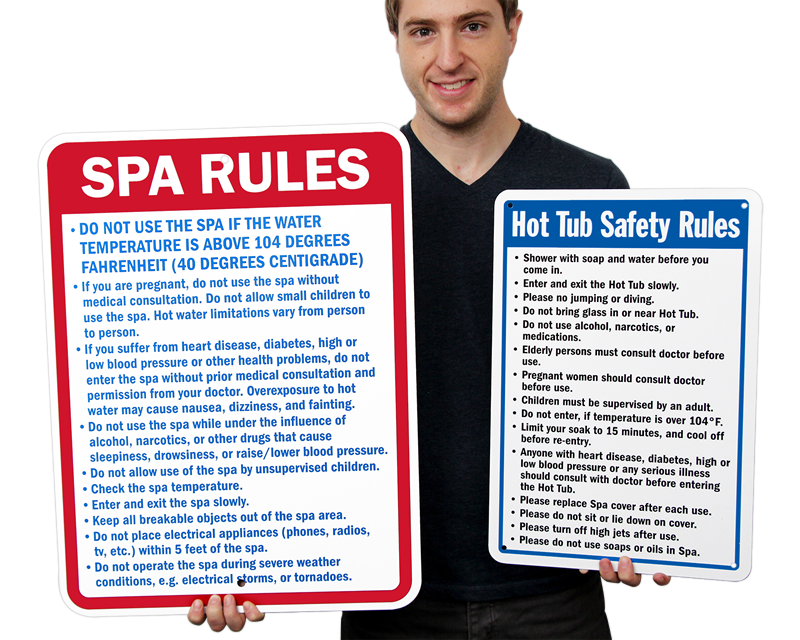 Mark spa capacity, hot tub rules and more with these customizable signs. 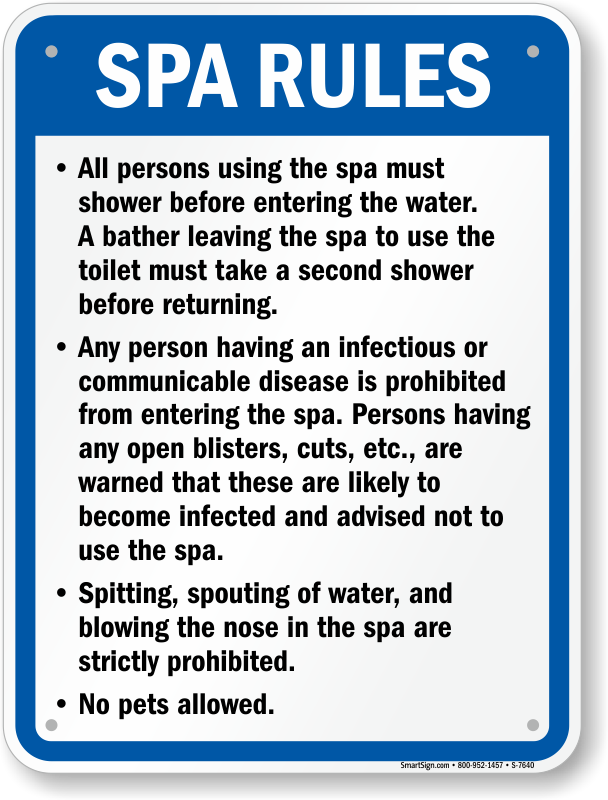 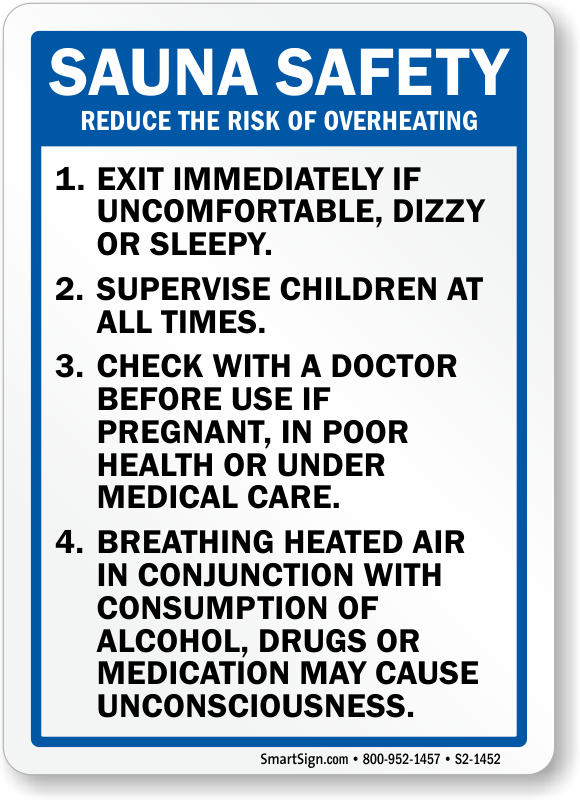 • Spa Rule Signs can make a tremendous difference in the safety of your spa area. 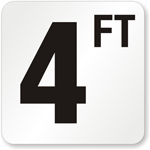 • Hover over any sign with your mouse to view more information about materials, pricing and size. 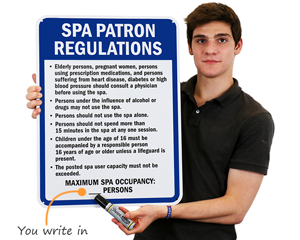 For more help contact us here. 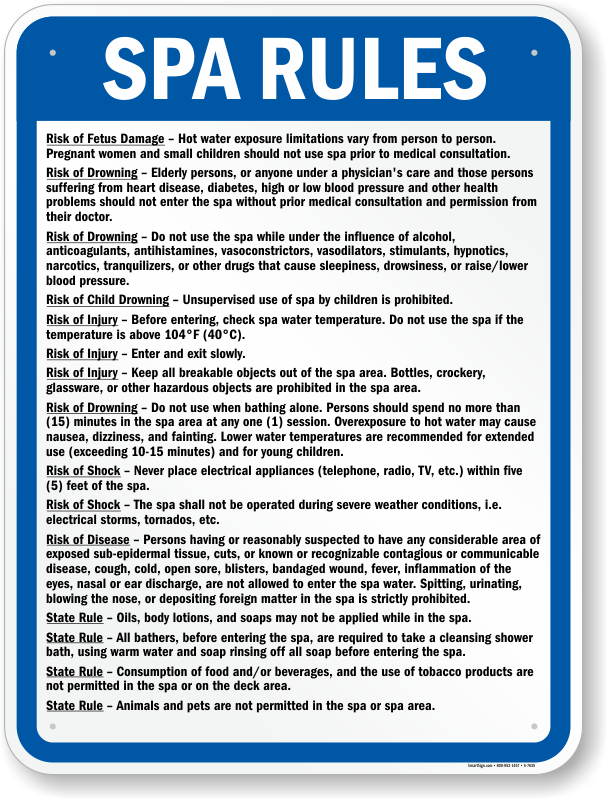 Find the signs needed for your state. 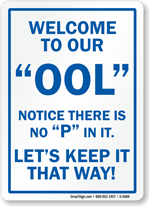 Look up your rules. 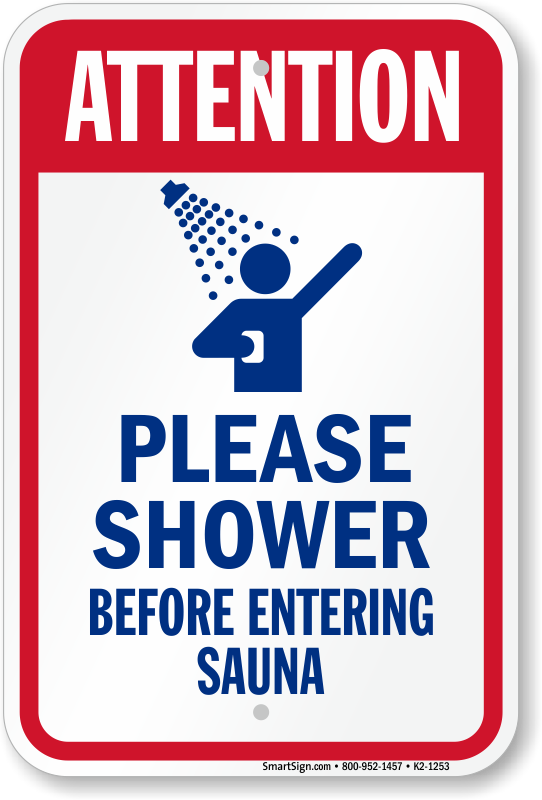 The sign has the proper information. 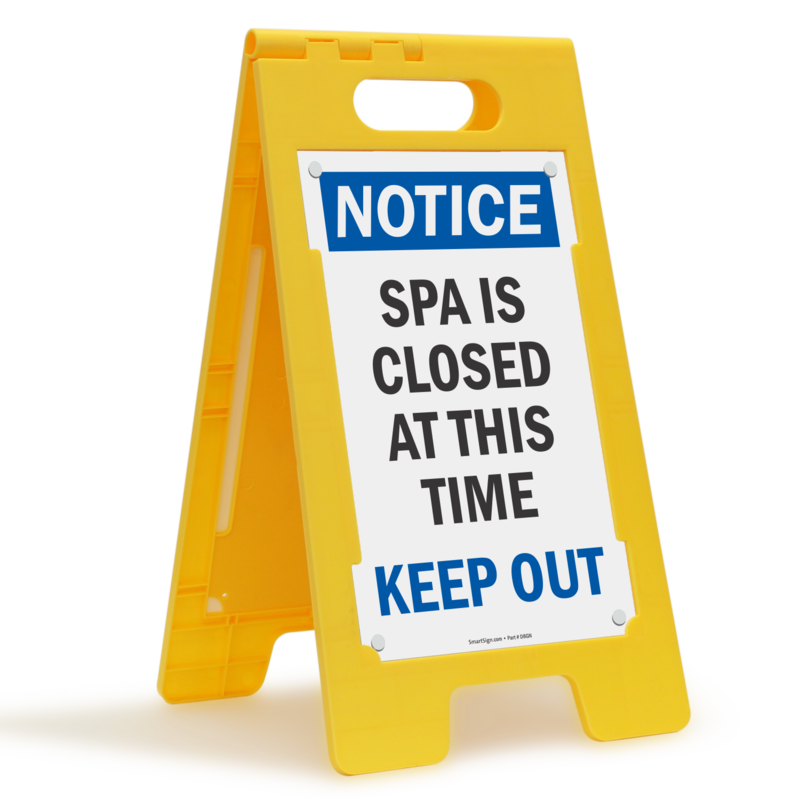 It looks like it will last a long time. 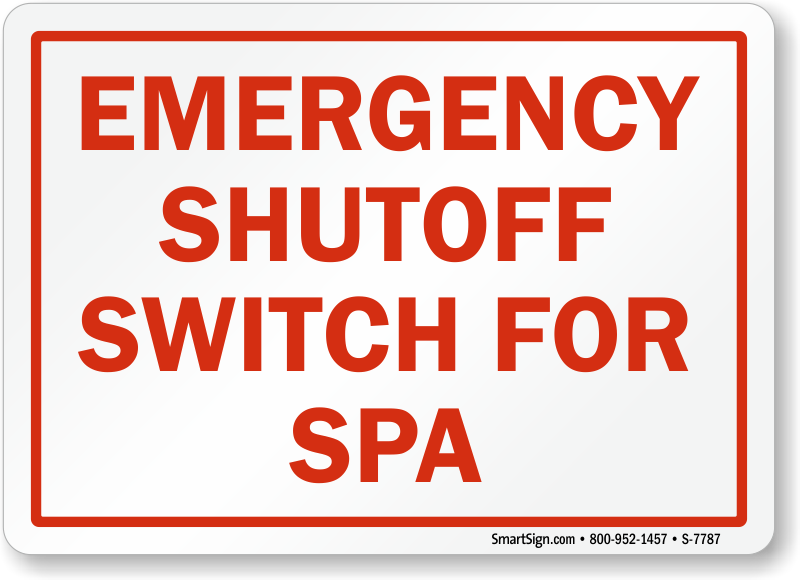 Perfect for The shut off box on my hot tub!! 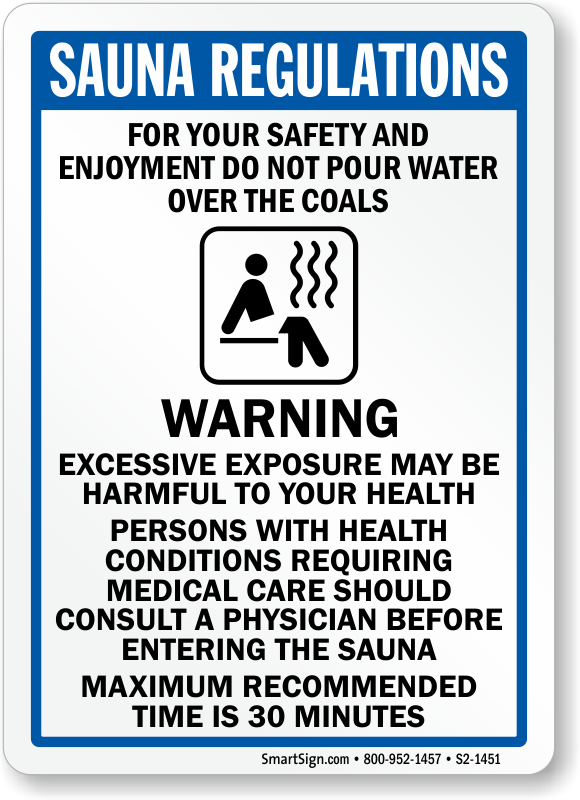 Heavy sign, will last forever.